With Everton’s Mr Consistent Leighton Baines set to return to the first team fold after the international break Roberto Martinez will be having several sleepness nights over is left back selection. Where as in the past Leighton Baines would automatically be named in the starting 11, no matter how long he’d been missing for, this time around he may not find getting his left back spot back so easily. It’s massive credit to Everton’s deputy left back Brenden Galloway for raising the question-should Baines have to fight his way back into the team. Galloway, a centre back turned left back, has been in impressive form this season while filling in for the injured Baines and turned the heads of many this season with his eye catching displays. Galloway’s inclusion in the Everton squad at this start of this season was mainly due to a crisis in the left back position with Bryan Oviedo and Leighton Baines injured on the eve before the first game of the season. With Luke Garbutt on loan at Fulham Galloway retained the left back position, which he held for the last two games of last season also due to injury. However Galloway’s performances this season have kept the returning Oviedo on the bench and a large majority of fans believe Leighton Baines should join him there. Roberto Martinez will surely have a selection headache. Choosing whether to stick with 19-year-old Galloway based on his excellent form and matureness way above his years. Or bring back the experienced Baines who offers consistency and unrivalled dead ball ability. Perhaps the dilemma is a blessing in disguse for Martinez. The gaffer has long been keen on moving Baines into the midfield and has experimented with this in the past, with Baines operating as a holding midfielder last season against away to Newcastle United and Hull City. Leighton Baines could be moved into central midfield while Galloway retains his place at left back. From central or even left midfield Baines’ passing ability, calmness of the ball and crossing ability would be perfectly effective in Everton’s possession football. Such a move has been seen in recent season with Philip Lahm moving from right back to holding midfield with positive results. 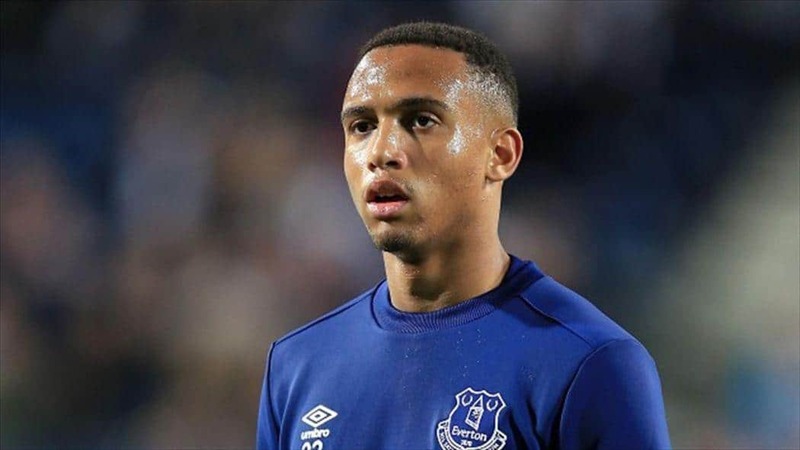 Similar to this Roberto Martinez has expressed his desire to move Galloway into the centre of the defence in the future and the youngster could well feature there for Everton when Baines returns. However this season Galloway has received praise due to his marauding runs forward and goal getting nature. Against Arsenal he was one of Everton’s most attacking players, operating almost as a winger in the second half and almost scoring the winning goal late on. In Everton’s last match against West Ham it was Galloway’s forward run and pass to Lukaku which almost one the game. Galloway has pace, skill and the ability to put a accurate ball into the box. The latter was demonstrated for Everton’s opening goal against Chelsea, a perfect cross met by Steven Naismith. Alternatively make Baines fight for his place at left back. The competition will only benefit the team and boost the performances of both Galloway and Baines. Galloway is not without his faults. His positional play is questionable at times and his effectiveness is lessened considerably when playing against a pacey winger. Whether he returns on the bench or is put straight into the starting 11 Everton fans will welcome the return of talismanic Leighton Baines. His set piece delivery and assists will only boost Everton’s performances and also add experience to a relatively young back for. The decision of who plays is ultimately Martinez’s to make, I’m sure its one he’s not looking forward to make.